RX20-HF from Primacoustic is a speaker decoupling device that helps improve monitor speaker performance. Although there are several manufacturers providing a similar kind of solution, the RX20-HF is different in that it also takes into account what is known as speaker recoil. Where the RX20-HF differs is in preventing back to front speaker cabinet motion (recoil), the result of a speaker coil pushing energy forward. This is more prominent with larger speakers and when monitoring at high volumes and can actually be exacerbated by the use of plain foam pads, given the latter's inherent pliability. By containing this motion, the RX20-HF allows the speaker to deliver significantly greater detail at all frequencies, with tighter bottom end and improved depth of field. 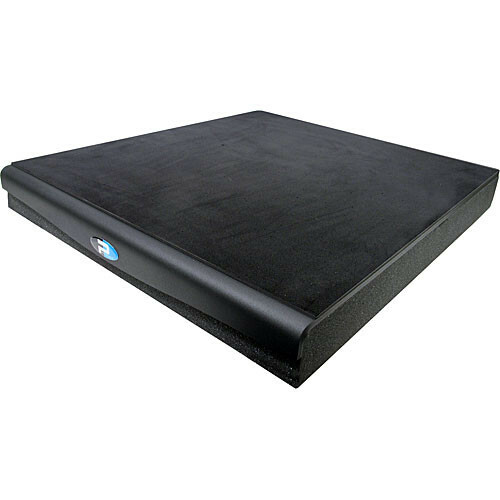 The Recoil Stabilizer is constructed from a high-density urethane base onto-which is added a heavy laser-cut steel plate, covered by a non-slip neoprene top. The steel plate introduces significant mass to the structure and serves to stabilize the speaker. The RX20-HF is constructed to allow the speaker to sit flat on the pad and "fire" in a horizontal direction. Note: WARNING: This product may contain chemicals known to the State of California to cause cancer, birth defects, and other reproductive harm. Box Dimensions (LxWxH) 24.0 x 21.0 x 3.75"